Recently an article came out in the reputed The Economist: “Can anyone stop Narendra Modi”, which was supposed to be an editorial view, but came across as a preachy article why Indians should reject Modi as a leader and re embrace the corrupt Congress government and toe the pseudo secularism path that India has trodden since Independence. Undoubtedly there have been stronger anti-Modi articles (or rants) in the media authored by journalists and editors. On one side of the spectrum we have journalists and editors like Rajdeep Sardesai, Sagarika Ghose, Guha, Shekhar Gupta, Barkha Dutt, Vinod Mehta all have made a long running career on the 2002 riots and anti Modi propaganda, we also have the once vocal critic of Modi now turned admirer like M J Akbar, Rajat Sharma and Madhu Kishkar. But what is most disturbing about The Economist is that the entire publication has come out with this article, rather than one particular journalist. – This is the primary reason why Indians have stopped trusting the main stream media – both domestic and international and come to rely on social media for more reliable, accurate and unbiased reporting. The basic journalistic principle is that journalists should only report as they see and keep their own prejudice out of their reporting. . Even if stretch this rule for reporters – because after all they are individuals and bound to be influenced, consciously or unconsciously by their own beliefs – should publications really be propagating this line of thought for Narendra Modi – or for any leader for that matter? Doesn’t this article almost make one conclude that the entire editorial team at The Economist is biased and out to get Modi? Or that some political or business vested interests have influenced the magazine to put out such an article? 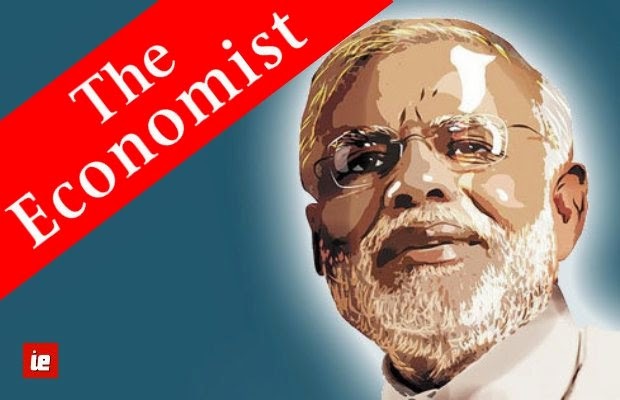 If the editorial team has signed of this article, then would seem to the unwary reader, that the top editorial team at The Economist is biased unfavorably towards Modi and that they propagate this bias throughout the entire organization. Whatever, may be the reason, it begs the question – is the entire publication’s view going to be colored by the top editorial leadership? Do we really expect to read any article favorable to Modi, BJP or any party that does not have a fundamental communist or welfare based ideology? Am I being too naive not to think that there might certainly be a diktat at The Economist and other such publications to toe a particular line? Why has the BJP felt the need to come out with their own media channels like NitiCentral and YuvaTV? Is it not because that they feel that they point of view is not being put forth in front of the public? Do they feel that their prime ministerial candidate is facing more flak than necessary and they need to counterbalance it? Or is there something more sinister under this entire anti Modi outrage in the media? Do the so called super powers of the western world feel threatened that India will not be so pliable under a strong leader like Modi? Do they feel that they moles in the Indian government will no longer be able to influence major decisions in their favor? India, under the UPA led Congress has not only seen a once robust economy reduced to shambles, but also a systematic dismantling of India’s best institutions. What otherwise could be the reason to systematically weaken the Indian Armed Forces? The signs are all there for everyone to read – The downgrading of armed forces benefits, disregard for veterans, disabled soldiers and war widows, the lack of urgency to provide essential equipment, weapons, ammunition and war supplies, the acceptance of Naval Chief’s resignation with no successor in sight, and the absolutely absurd austerity drive, which asked the Indian Army to cut down their rations and fuel use by 50% in critical areas like the Siachen Glacier. Mr. Modi may have his flaws and may suffer from a lack of judgment when it comes to some issues, but he is a thrice democratically elected leader of India. Today he is the PM candidate of one of the largest parties of India – and may well form a government, come May. Are the Indian media houses sensing a change of the powers that be? Could this be the reason why some of the very same journalists who vilified Modi for some twelve years now are going soft on him? Are they hedging their losses, in case the UPA doesn’t return to power? But the international media houses are not subject to Indian law and hence have nothing to fear – hence their mudslinging on him continues. International media houses have their own masters to serve – the same masters that are funding the ever agitating NGO’s in India. The Indian law has caught up with many of these professional activists like Teesta Setalvad. Facing serious charges of perjury and usurping money collected by her NGO, she has also received a sound rap on her knuckles from the SC for other improprieties. 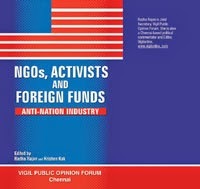 NGOs, Activists and Foreign Funds: Anti-Nation Industry“NGOs, Activists and Foreign Funds: Anti-Nation Industry” by Radha Rajan and Krishen Kak [download pdf] is a book that thoroughly exposes this dangerous nexus between foreign funding and anti- nation NGOs. Besides Teesta Setalvad, Shabnam Hashmi, Arundhati Roy, Sandeep Pandey, Akhila Raman and Praful Bidwai and some activists are also under the scanner for various wrong doings. Some of them have made a career and shot to fame with their anti-Modi ranting and also received doles in the form of Padma Shris from the grateful UPA government. Arvind Kejriwal the newest activist-turned-politician on the block has also realized that the media loves any anti Modi blubbering and gives them exactly what they want, to stay in the limelight. What started off as an anti corruption movement against the corrupt UPA has slowly turned into a relentless anti Modi rant. Modi’s rally has been infiltrated with an unsuccessful bomb attack, opponents have threatened to cut him to pieces and the Indian Mujahedeen has threatened to kill him – are these the means through which The Economist begs that their sinister question “Who can stop Modi” be answered? The Indian voter – the one who actually casts his vote – is one unlikely to be swayed by such articles, but the last ditch attempts by political motivated portals like Cobrapost to tarnish Modi’s image is maybe their own way of trying to stop Modi. While the question “Who can stop Narendra Modi” is stupid to begin with, the only answer is – the Indian voter. As the first phase of polling is set to begin, the only people who hold the answer to The Economist’s question is our very own common man. May he surprise us all! Traveler. Wants to remain a nomad till 2024. Foodie. Reader. Blogger. 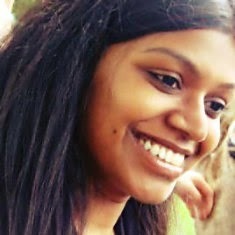 A Ferociously Proud Indian. Speaks Digital. News Junkie.